Opportunities Leadership Impact Award! As we celebrate our accomplishments throughout the year, we must remain humble and acknowledge that our efforts would not be possible without the leadership of those like Mr. Harold Epps. 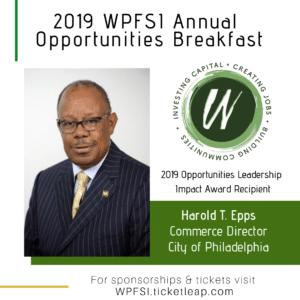 Harold T. Epps is an award-winning, visionary leader with over 30 years of corporate experience in providing high-performance products and solutions for complex and compliance-driven industries. Mr. Epps currently serves as Commerce Director for the City of Philadelphia. In his role, he oversees and implements policies to help both small businesses and major corporations in Philadelphia thrive. Throughout his career, Mr. Epps has built a phenomenal reputation for positioning corporations for sustained growth, successfully managing change and restructuring, improving efficiency, spurring innovation and maintaining a focus and discipline of continuous process and performance improvement. 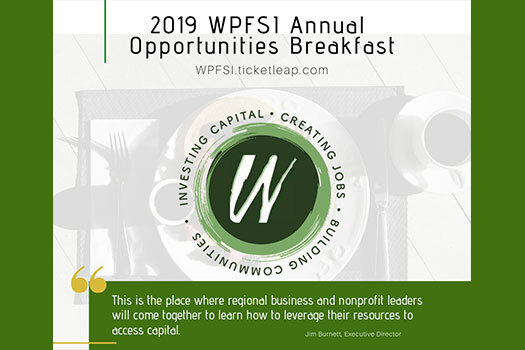 Join us on April 25th, click here to purchase tickets!